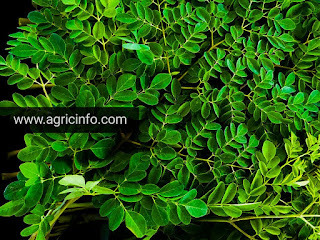 Moringa oleifera is the most widely cultivated species of the genus Moringa, which is the only genus in the family Moringaceae. English common names include: moringa, drumstick tree, horseradish tree, ben oil tree, or benzoil tree. The fact that moringa grows rapidly and easily makes it especially appealing for impoverished areas, and it's been used successfully for boosting nutritional intake in Malawi, Senegal, and India. In these areas, moringa may be the most nutritious food locally available, and it can be harvested year-round. Some of the benefits are that Moringa leaves are loaded with vitamins, minerals, essential amino acids, antioxidants, and more. It also have anti-diabetic, anti-inflammatory, cholesterol-lowering, and cardioprotective properties. It's seeds even work better for water purification than many of the conventional synthetic materials in use today.